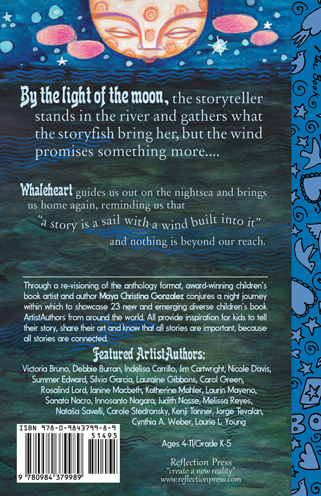 By the light of the moon, the storyteller stands in the river and gathers what the storyfish bring her, but the wind promises something more. The river’s flow carries her gently into the unknown as she finds herself traveling far out to sea in search of a great ship with an unlikely guide by her side. The great ship holds the key: there are others out there spinning their tales into the night! 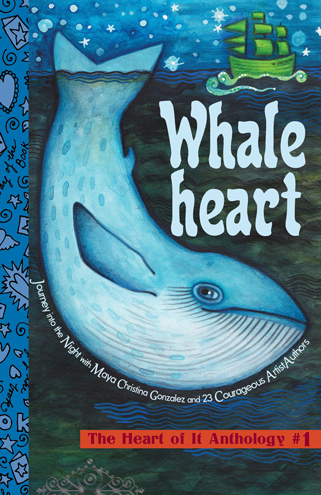 Whaleheart guides us out on the nightsea and brings us home again, reminding us that “a story is a sail with a wind built into it” and nothing is beyond our reach. 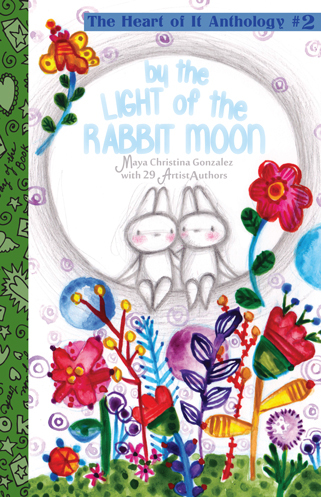 Through a re-visioning of the anthology format, award-winning children’s book artist and author Maya Christina Gonzalez conjures a night journey within which to showcase 23 new and emerging diverse children’s book ArtistAuthors from around the world. Some share windows into future picture books, some poemas, while others share memories and short stories. 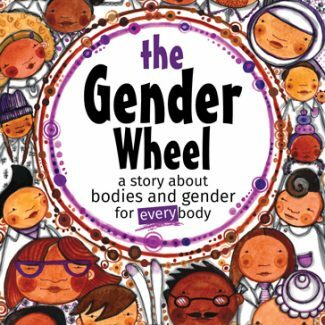 All are inspiration for kids to tell their story, share their art and know that all stories are important, because all stories are connected. 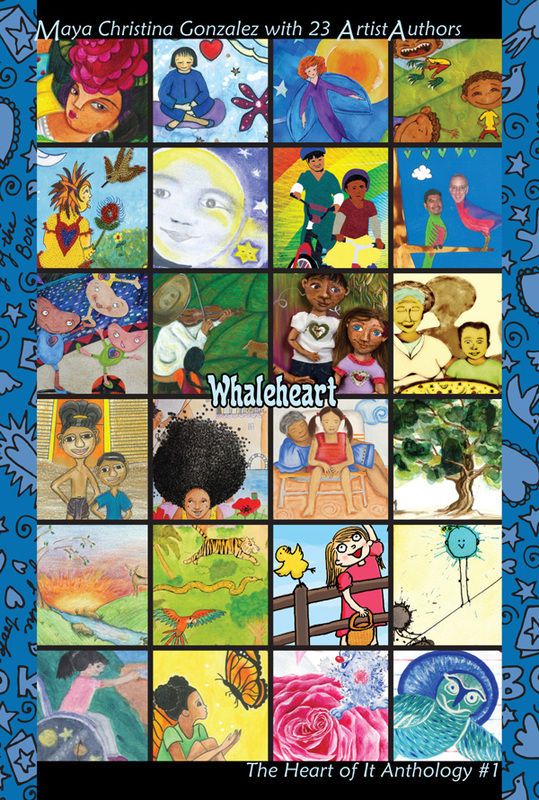 Whaleheart is the first book in The Heart of It Collection: annual anthologies in direct and immediate response to a lack of equitable and relevant representation of the people in traditional children’s books. Victoria Bruno was born and grew up in Chile. Educator and self-taught artist. 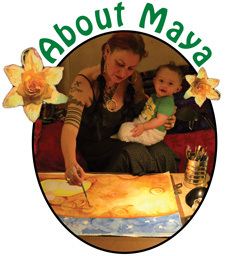 Enjoys…creating and teaching through arts. Believes…in the freedom of expression and the abilities of each child as unique. Dreams…of a just and peaceful world where children can play and fly feeling free. Debbie loves all colors of people and colorful painting. At five she was painting clowns and going to the circus. The different people, colors and acts were amazing. She thinks joining the circus would be exciting, but teaching children to love all people would be her dream and fantastic! Indelisa grew up in a house full of stories and mariachi music filling the rooms. 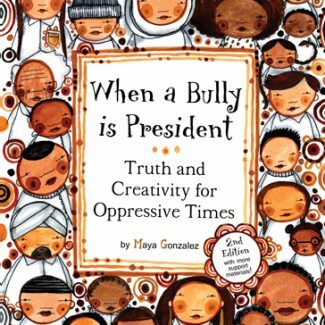 She is an educator currently working with immigrant children and their families. She hopes to one day release all the stories she has written and painted into the world and into the hands of children. Jim lives in San Francisco with his husband Jorge. He works with kids as both a creative writing teacher and a speech therapist. 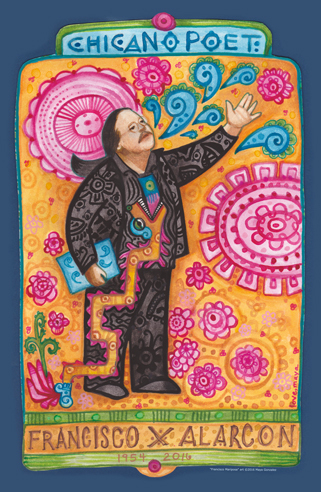 Jim has published poems in various anthologies and is a member of CPITS (California Poets in the Schools). He has released three CDs of his music. Nicole loves quiet. She believes that quiet time is essential to staying connected to one’s true self. She encourages you to take a moment and let the silence hold you. What will you discover about your true self? Lauraine grew up in Houston, Texas. She’s always had a keen love for animals and nature. She is an Emmy award winning art director & designer. This is her first foray into picture book writing and illustrating, and, hopefully, not her last. Katherine always wanted to be an artist and a teacher so she became an art teacher! She currently teaches and is working on inspirational curriculum tools for teachers and students in the hope of demystifying the creative process. 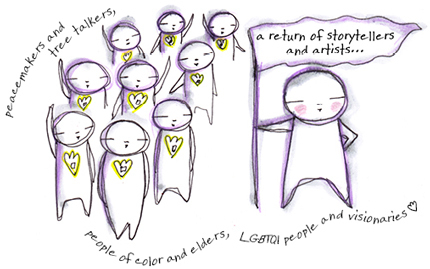 Art is for everyone and can be made by everyone! Carole loves play-full art and writing. Her service dog Hazel helps by retrieving pens and pencils when they drop on the floor. After finishing the illustrations for the picturebook You Are The Artist, Carole and Hazel will be working on their Hazel The Service Dog books. Jorge grew up in a Mayan village in Guatemala, and came to the USA walking through the desert. He loves the pyramids because they are mysterious. He also likes to draw and write short stories. He works in a bakery as a cake decorator. Cynthia is a believer and seer of magic. She sees it in her garden and each one of us. As a writer and artist, Cynthia shows this magic in her work. Laurie has always wanted to fly, but her arms proved to be aerodynamically insufficient. Instead, she decided to write books and draw pictures. She has written six preschool books, including the best-selling I See A Monster. 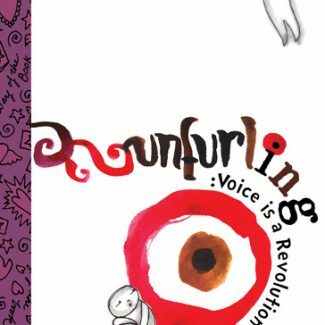 In her spare time, Laurie is a graphic designer, making books for other people.